Out of the coffin and into the world of Bon Temps! 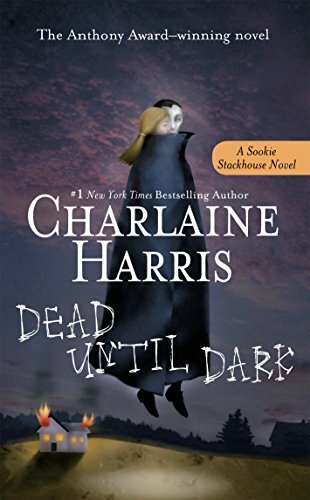 Kristin May joined us to read Dead Until Dark by Charlaine Harris, the first of the Sookie Stackhouse novels that inspired the show True Blood. Despite the troubling trend of Confederate vampires and the overabundance of heterosexuality, this book had a lot of over-the-top drama for us to sink our teeth into–and, even better, a lot of paperwork for us to fill out. Thank you note: Thanks so much to our Patreon sponsors for choosing this book for us to read in our first annual Patreon poll! Patreon shout-out: Devin encourages you to visit the Wayne State University Museum of Anthropology and Planetarium, newly under the direction of his sister Megan! Content warning: This book has light mentions of child sexual abuse and sexual assault. Dracula vs. The Marvel Universe: 14 Times The Lord of The Undead Fought Superheroes! Candy pairing: Kait says candy blood, Kristin says a Take5 bar, Renata says beignets. Coming up next: Abraham Lincoln, Vampire Hunter by Seth Grahame-Smith.